The Manor Range of gates, railings and fences is the ideal choice for adding a traditional look to your home. Not only are they great for added privacy and security, they will instantly improve the appearance of your home too. With a sturdy gate in place, dog owners no longer have to worry about their pet running out of the front door and into the road. The gates and railings come in a variety of shapes, finishes and sizes, so you are sure to find one that fits your taste and home. 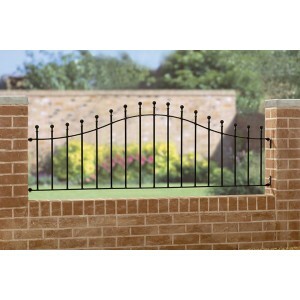 We also sell gateposts, should you need them. 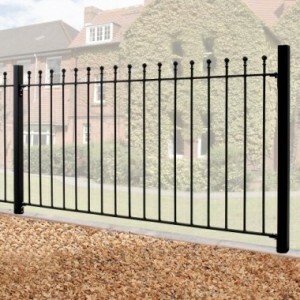 Whether you go for railings, gates or something else, we can assure you they will become the envy of your neighbours. We will also deliver them straight to your front door, free of charge. 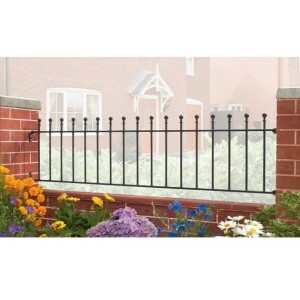 The Manor Arched Railings are constructed using solid steel giving a traditional wrought iron railin.. 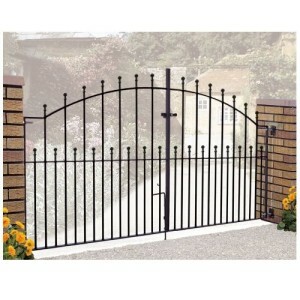 The Manor Double Gates are constructed using solid steel for a traditional wrought iron gate appeara.. 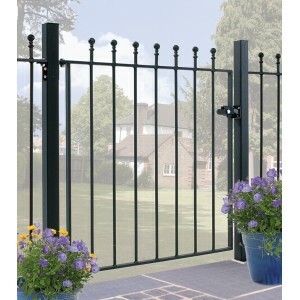 The Manor Flat Top Double Gates are constructed using solid steel for a traditional wrought iron gat.. The Manor Railings are constructed using solid steel giving a traditional wrought iron railing appea.. 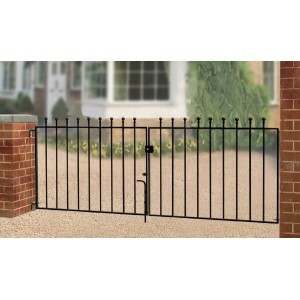 The Manor Single Gate is constructed using solid steel for a traditional wrought iron gate appearanc.. 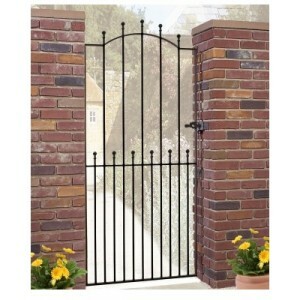 The Manor Tall Single Gate is constructed using solid steel giving a traditional wrought iron appear..